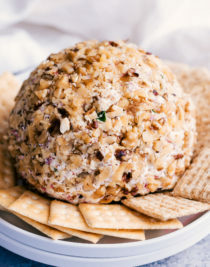 Creamy and delicious bite after bite, this Easy Cheese Ball recipe is sure to be a hit for any occasion. This Cheese Ball has been around for as long as I can remember and has never let me down. It is so creamy and flavorful it really is hard to walk away from once you start eating it. I like to make it the day before so the flavors have a chance to really infuse with each other and then I take it out of the refrigerator about 1 hour before I serve it so it is nice and soft. No breaking your crackers on a hard cheese ball. 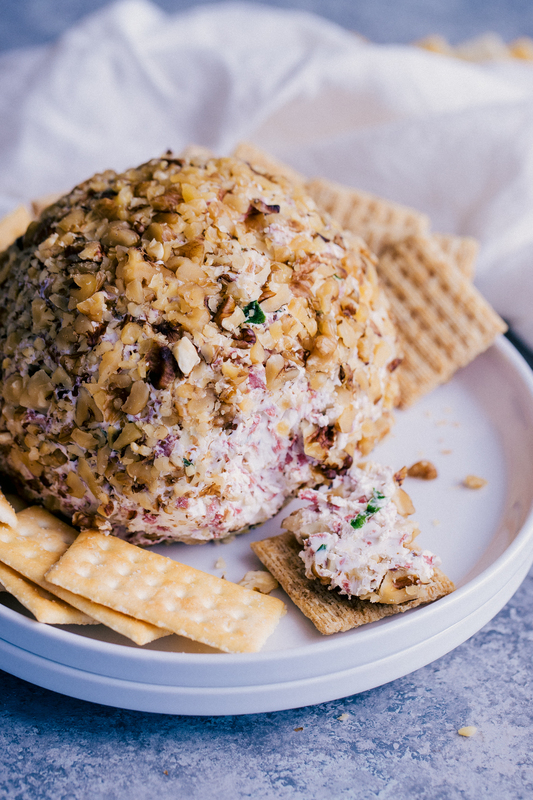 So remember, the Easy Cheese Ball the next time you need to bring a little something extra special, it won’t disappoint. 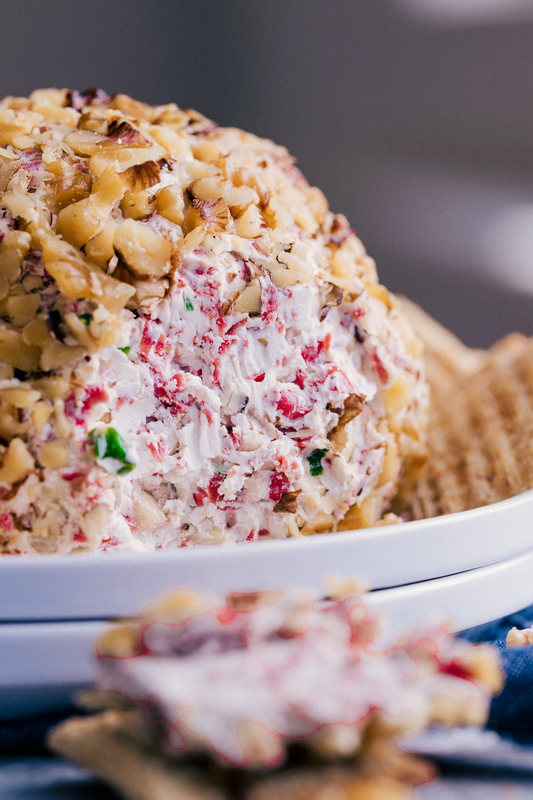 How do you make a cream cheese ball? Combine softened cream cheese, chopped green onion, chipped beef, mayonnaise style salad dressing, and Worcestershire sauce in a large bowl. Shape into a large ball and roll in chopped walnuts. Store in an airtight container in refrigerator for 3-4 hours before serving. Pull out of refrigerator 1 hour before serving to let it soften up a bit. How Can you soften cream cheese? If you don’t have time to leave your cream cheese out to soften you can place completely unwrapped cream cheese on a microwave safe plate and microwave on high for 10 seconds, just until cream cheese is softened. Yes. Wrap your cheese ball in saran wrap, tightly. Then proceed to wrap it again with foil. Place in your freezer for up to 2 months. If you keep your cheese ball wrapped in saran wrap and in an airtight container, it will keep for about 2 weeks in the refrigerator. Any longer than that I wouldn’t suggest doing. It is generally called Buddig Beef. Combine all ingredients, except chopped nuts, in a large bowl and cream together. Shape into a ball and roll in chopped nuts, using your hands to press in any loose nuts. Place in an airtight container and set in the refrigerator for 2 hours before serving. 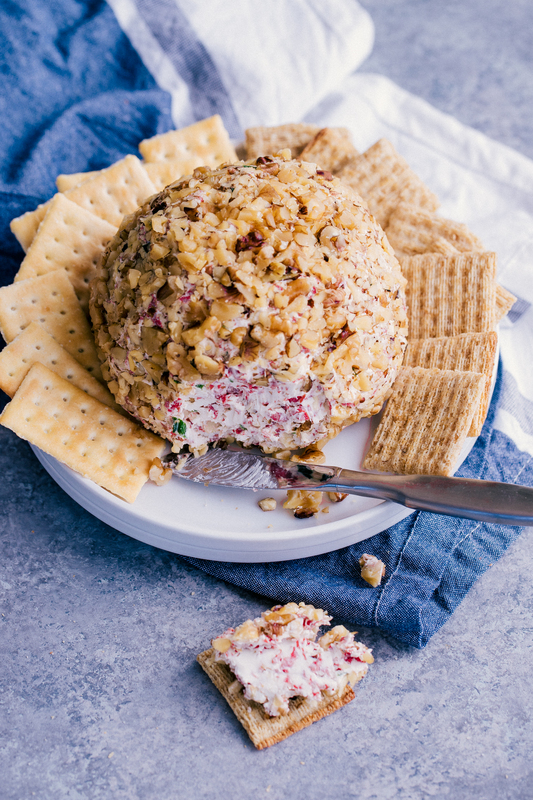 When getting ready to serve, take out of the refrigerator an hour before to let the cheese ball soften.